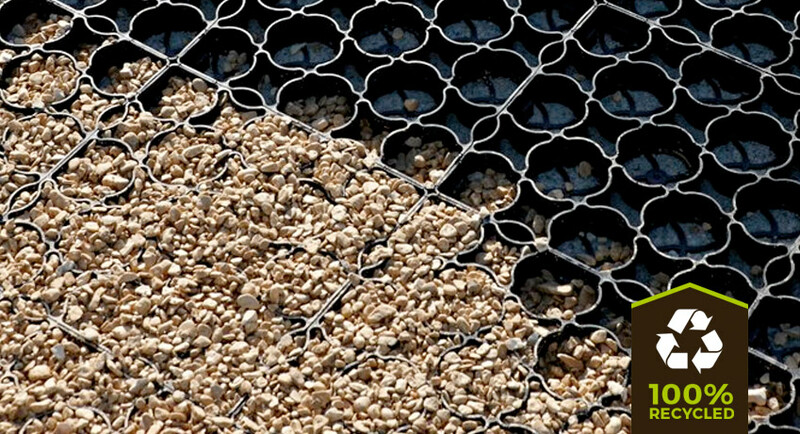 Eco Ground Reinforcement is a revolutionary product combining durability, flexibility and sustainability. It is ideal for use in driveway and embankment projects as it is non-slip and crack-proof. Our ground reinforcement solution is made from robust recycled plastics saving tonnes of non-degradable plastics from sitting in landfills. Not only is the solution eco-friendly but is a sustainable option for protecting your ground from the elements when laying driveways – whatever the material. It saves on installation costs and time due to the quick installation requirements. 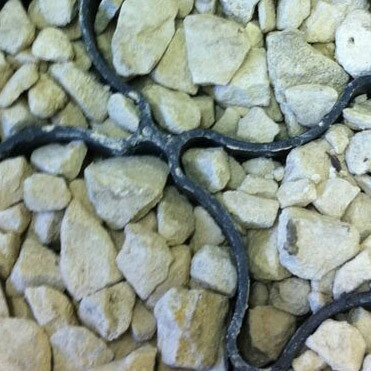 It comes in a tried and tested connection system of honeycomb tiles filled with whatever material necessary such as stone, gravel, earth or be seeded depending on the environment. With the versatile nature of the product, you can customise it to suit your requirements. 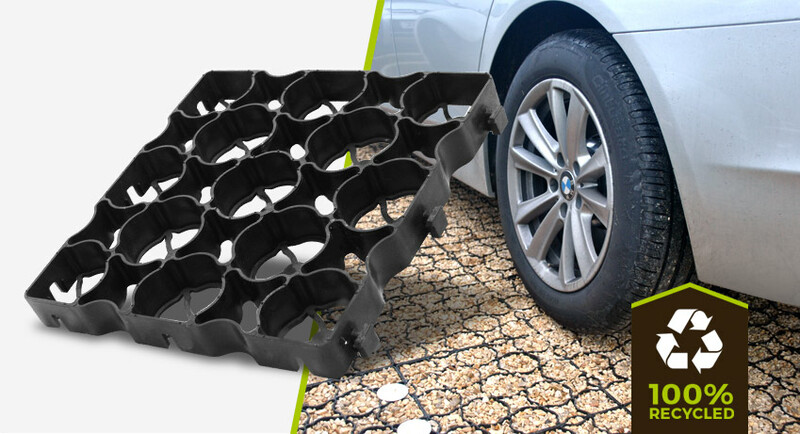 Eco Ground Reinforcement is weatherproof due to its ability to drain naturally. Our ethos involves providing a high-quality product that can just be enjoyed, as a result, you don’t need to be concerned with constant cleaning or further work. 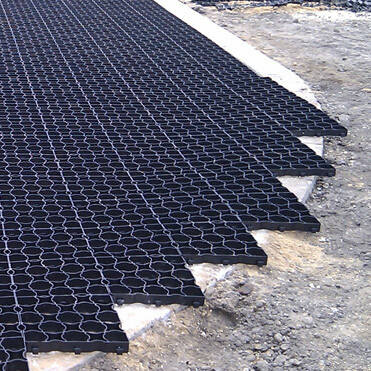 Our recycled ground protection is ideal for pathways, roadways, emergency vehicle access roads, driveways, cycle routes, towpaths, green car parking areas and stabilising embankments. Its main use is the preventing of ground erosion and damage. It is non-slip and crack proof and will last as long as you need, and is extremely visually appealing. You can maintain the appearance of your grass or gravel area whilst making the area more practical and useful. It is able to sustain vehicle weights up to 16 tonnes, and 250 tonnes per square metre. This is extremely strong and very useful for whatever purpose it is required for. It has already been used by a range of businesses. From schools, house associations to contractors and architects. It’s easy to see why as there are so many benefits, as well as environmental sustainability. It can even be recycled at the end of its long lifespan, meaning a closed loop of sustainability for your business. Eco Ground Reinforcement will not crack under pressure, and can easily meet extreme durability requirements. Our innovative creation process creates strong, functional products. 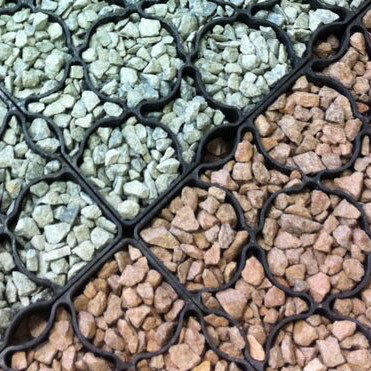 Ever customisable, our ground reinforcement can be filled with stone, gravel, earth or be seeded depending on the area it’s installed in. As a result you can alter its appearance depending on your needs. Eco Ground Reinforcement can be used for many different purposes. From pathways to embankment stabilising, there’s little our ground reinforcement can’t do.